Our team Captain Steve Wolf, invited us over this afternoon to plan for our upcoming Flaming Foliage Relay. This is a ten person relay over three mountain passes and 170 miles in September. Steve said to bring a dish and/or beer. That makes it a planning party. I plan to bring ceviche. We finally have the leg maps to review. I’m in van #1 with Matt, Allison, Kristina and Kelly. We’ll cover 21.8 miles for the first set of five exchanges. 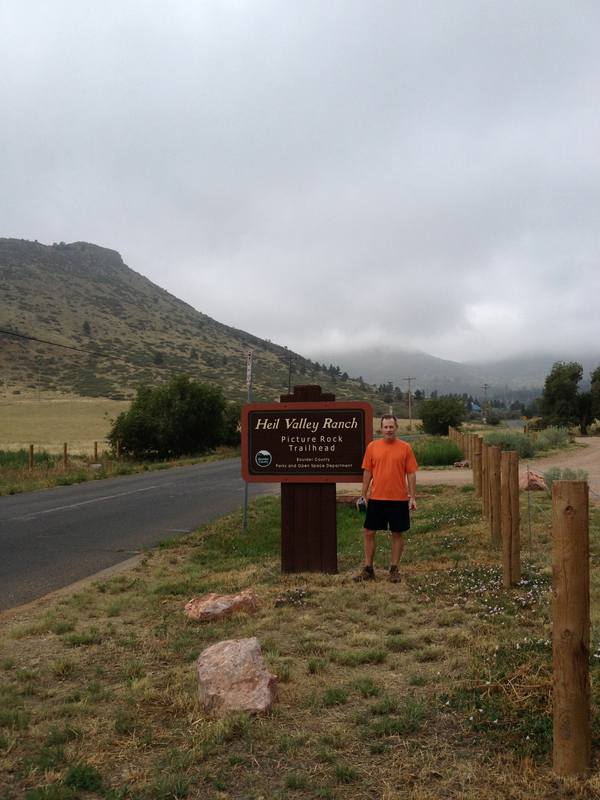 I’ll start us out at Citizens Park in Idaho Springs and run 4.4 miles up a slight 1% incline to the County Fairgrounds. At over 7500 feet, I might count that easy grade as a hill; otherwise this will be a nice 7am wake-up run. Van #2 will handle exchanges 6 through 10 and my next turn at bat will be leg 11. This will be somewhat emotional for me as my return to the plate will bring me back to Georgia Pass, where I nearly cried snowshoeing the Colorado Trail two years ago. I won’t have to worry about post-holing through six feet of snow this time but the trail will still be a challenge with the first 6 miles ascending up a 6% grade. The downhill might not be any easier – depends on how fatigued my legs are after cresting the pass. Total distance for this leg is 12.6 miles. My experience should be key as I’ve been over this hill before. We break formation on the final set of exchanges and instead of running leg 21 for my last effort, I run leg 23. This is in my favor allowing me to get some extra rest, and will likely have me running at sunrise around 5am rather than in the darkness of 3am. This run could be a well deserved reward for scaling Georgia Pass earlier. The leg wraps around Turquoise Lake near Leadville, down a 3% grade for 3.6 miles. The lake is stunning, I’ve seen it before hiking the nearby Colorado Trail. Nice camp site if you’re planning a trip to the mountains. This week, once I returned from Austin, had some cool temperatures. Got some good mileage in along with a hill workout Saturday. I ran 5 reps on the east side of the water tower hill on the White Rocks Trail. The hill is a little over a quarter mile long at a 9% grade. Decent workout. 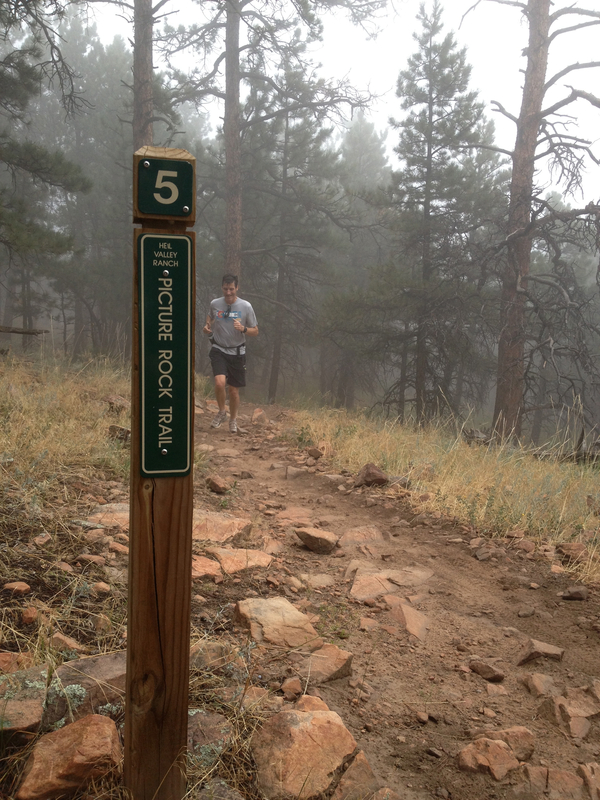 This morning, I ran with my relay teammates on the Picture Rock Trail in Lyons. 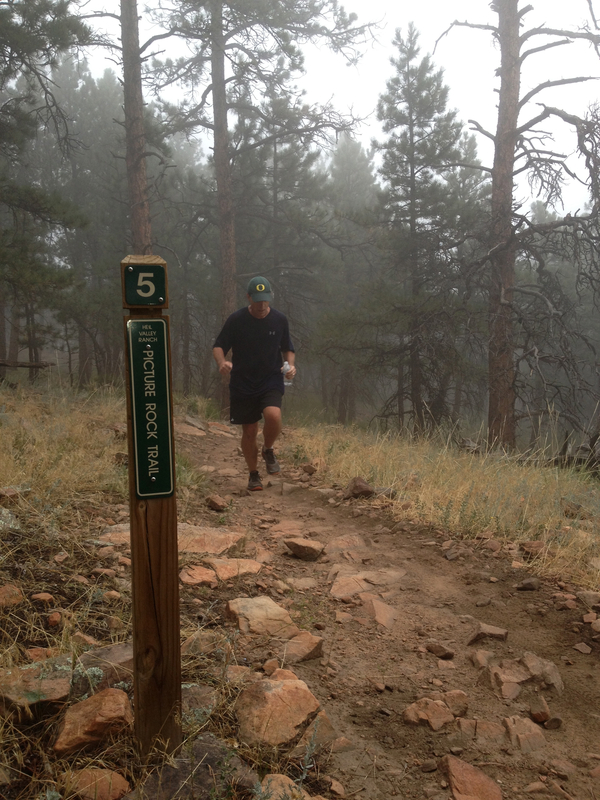 Essentially another hill workout – 5 miles up and 5 back down. This will help me prepare for Georgia Pass. Another cool run with 63° and mist. Met Kristina for the first time – she’ll be in van #1 with me. She’s a Decathlete from Western State and a strong trail runner. I followed her down Picture Rock this morning. 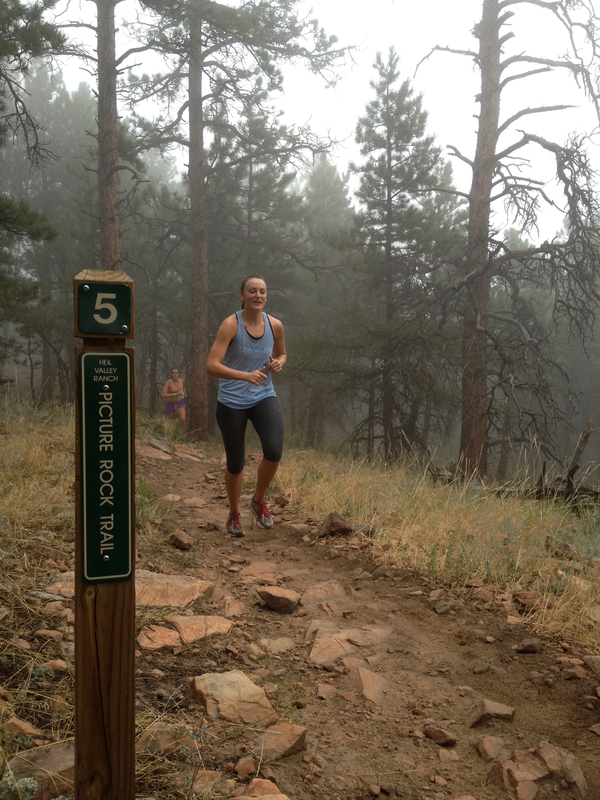 Whenever we hit a cluster of rocks, where the typical runner might express caution by slowing down, Kristina would surge. The girl has trail legs. She’ll compliment our team nicely. Steve, pictured here by the way, updated us on our team participation during this morning’s run. Turns out three runners have dropped out. He thinks he has some others queued up but if you’re interested, let me know. The relay is September 13-14. You’ll have to survive over 30 hours of driving in a van full of sweaty, stinky, likely gassy, sometimes obnoxious (me), overly fatigued 20 year old and 50 year old runners. We’ll spend Saturday night partying in a riverside house we rented in BV near the finish. If that sounds fun to you, let me know. The picture above Steve is Kristina from this morning. Above her is Allison. Then Keith and that’s me up top. 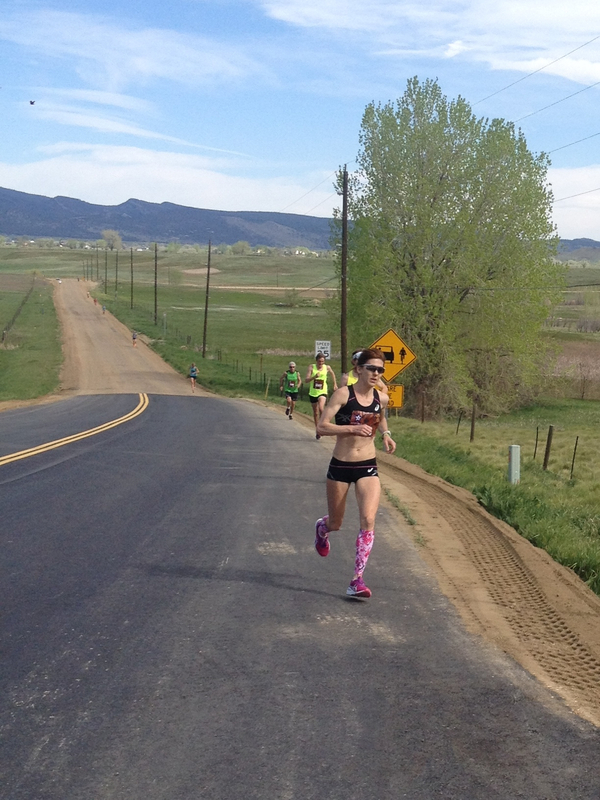 I have the Boulder Marathon Sept 22. And we’ll be in Colorado Springs Sept 25-26 for a Diana Krall concert. Oct is wide open. We are still short one runner and are looking for a woman to join us.